This is a Musical starring a Worm, named Dorian, who lives underground and his struggle with The Shared Worm Experience of what to do when it rains. “To die or to die?” said, Wormet in a famous play by Wormian Snakespear. This is quite possibly the best thing in the world ever! …(my god, Almo…that’s a coincidence…I wanna be a comics master like YOU some day!!)…. 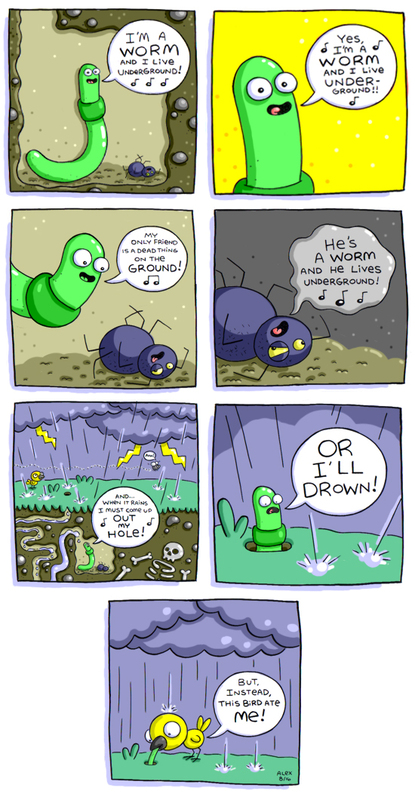 I like watching worms after it rains.